Manorgrove House Hotel is a well-maintained, cosy and secluded hotel that offers maximum comfort and security. Manorgrove House Hotel prides itself in providing excellent hotel services in spacious suites, furnished with classic Italian interior fixtures. The hotel offers guest a state-of-the-art lodging facilities that guaranteed maximum comfort and relaxation. The hotel offers guests 24 hour access to a indoor and outdoor bar, restaurant and laundry services. Located in the outskirts of Rivers State‘s capital city of Port Harcourt, and in close proximity to Port Harcourt International Airport, Manorgrove House Hotel offers high standards of hotel accommodation services with modern facilities that will make your stay a memorable one. 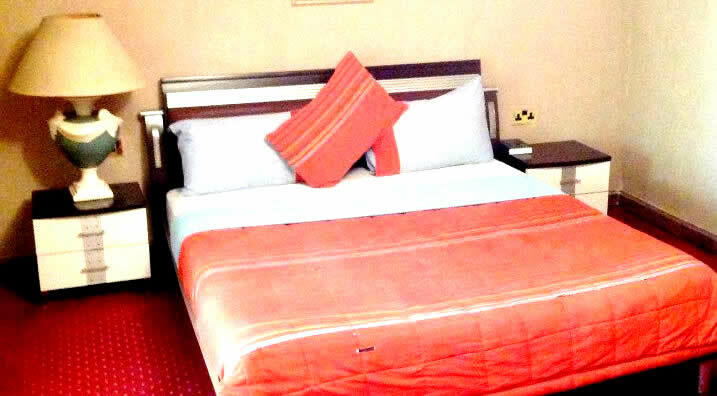 The hotel’s location in the heart of Port Harcourt makes it a perfect choice for both business and leisure travellers. The hotel is managed by friendly team of professionals that will make you feel at home upon arrival. Manorgrove House Hotel offers well maintained rooms that are equipped with cable network television, direct room services and other modern hotel facilities. The hotel offers beautifully furnished bedrooms within individually styled houses with exclusive private lounges. The hotel guest rooms are clean, comfortable, and well appointed. Manorgrove House Hotel boasts of great cuisines and a wonderful out-door catering service. The hotel restaurant serves both Nigeria local dishes and continental dishes.